While children are typically showered in toys and gifts for their early birthdays, one of the best gifts a parent can give to their son or daughter is excellent dental care. While it is important to introduce great dental hygiene habits at home, like learning to brush their teeth, dental visits should also be a priority for your child. Even problems with “baby” teeth can affect your child throughout their adult lives, so introducing them to the right dentist while they’re young will help cement great dental care habits that will last them a lifetime. Much like a visit to the doctor, your child may be apprehensive about visiting the dentist. Dental tools can look pretty scary, and the unfamiliar sounds and smells of a dental office are strange and potentially worrisome to young children. 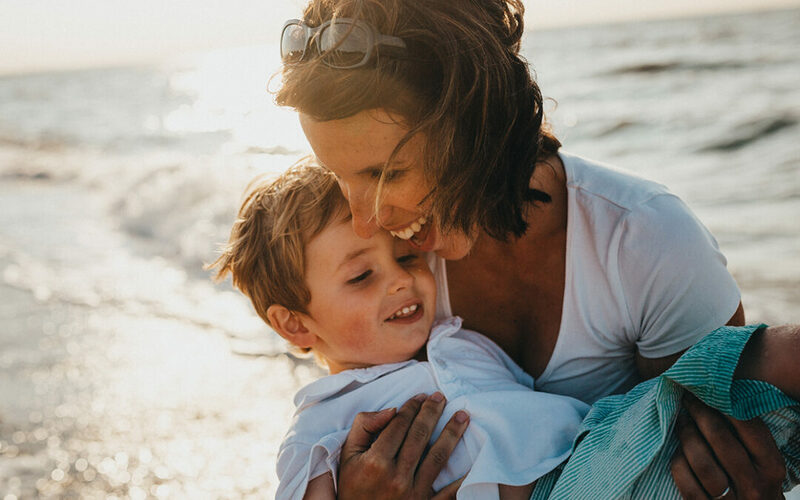 As a guardian, you’re in an excellent position to help soothe these fears and make their first dental visits trouble-free, and potentially even something your child will look forward to as they grow. The location of a potential dental office for your children is important – the proximity to their school, your work, or your home will give you a greater range of potential appointment times that won’t disrupt schedules. This is particularly important if your child spends time in two households, such as a grandparent’s home or another parent’s home nearby – it will offer flexibility for all involved. Additionally, a local office means a chance that your child has friends or young family members that visit the same office – a great way to introduce a dental appointment as a normal, healthy experience that everyone shares. An apprehensive child can be calmed with spaces designed just for them – fun colors, child-centric art, toys, and games for all appropriate ages. This is especially important in medical settings, such as a dental office, as they are likely to hear the sounds of equipment from behind the waiting room door. The entire dental team in your chosen office should ideally be ready and willing to interact with your child. They should have props, illustrations, or other age-appropriate ways to explain why good dental care is important. Many offices that are especially child-friendly will have special events or staff present to interact with children, like an office ‘tooth fairy’. There should be space for mom or dad to be either chairside or nearby to keep a watchful eye on their child, as well. This will help combat nervousness on both sides. It’s both prudent and smart to ask about your potential dentist’s “track record” – how long have they been performing dental services on children, are there any outstanding complaints with the state board and if their online reviews favorable. Here is Triangle Dentistry’s, own ‘Tooth Fairy’, known as Dr. Kim Power, talking about pediatric dentistry! While nearly every parent wishes at some point that their little one would stay little forever, it’s an inevitable fact that kids grow up. You should consider a long-term dental plan for your child with this in mind: does your chosen office offer ongoing care for teenagers and young adults, or are they strictly a pediatric dental office? Orthodontics and wisdom tooth removal may also be on the radar, so be sure to inquire if your office has a branch to deal with either issue or if they work with a trusted provider for treatment. A dental office with a variety of age-appropriate services will save you the hassle of new patient intake forms, the cost of initial exams and x-rays at a new location, and the struggle getting used to a new provider. While finding a great dentist that has experience with pediatric services might be a little challenging, the benefits of a great dentist-family relationship will show in your child’s excellent dental health and attitude. While it might be a treasure bin of toys and a waiting room of games that win them over in the short term, the beautiful smile they’ll receive is a lifetime gift they’ll never forget.